You can invite team members to collaborate and create videos together. You can invite team members from your Lumen5 Dashboard by clicking on your profile icon in the top-right corner, and then selecting Team Members from the dropdown menu. 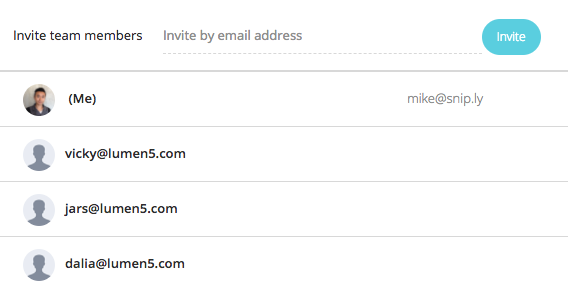 Once you're on the Team Members page, you'll be able to send invites to your colleagues via an email invite. You can give each team member access to different Projects to keep everything organized. You can also also choose to make a team member an Editor. Editors can make videos, but account and billing settings will be hidden from them.